Events & Dreams is bringing you a Spring Garden Party Wedding Fayre. Haven't seen this award winning venue in all its glory? Well now is the time! Bring your mums, sisters, cousins, daughters, girlfriends, fiancé and even grandma as this is going to be a day full of joy. Chat with the amazing wedding suppliers about your wedding day plans. We want you to experience your wedding day at Grinkle Park first hand... So make sure you get the date in your diary for our Spring Garden Party Wedding Fayre! 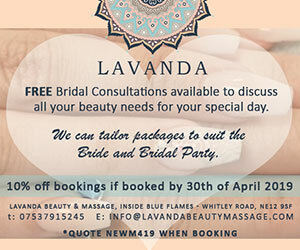 Register via the website for a free Bridal Goody Bag and on the day goodies! Local traders with a wide range of wedding related stalls. 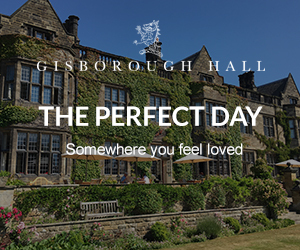 Designed to showcase all the extras needed for your wedding including photo booth, giant letters, selfie mirror, ring-bearing owl, pianist, candy floss, popcorn, room dressers, wedding props and quirky furniture hire, garden games, bar hire, cars, beauty experts, DJ, magician, jeweller, home-made chocolate favours, macaroon towers and more! FANTASTIC special offers & discounts from some of the regions BEST wedding suppliers. FREE bridal magazines, live music, candy floss, cakes, photo booth, ice-cream cart, selfie mirror, giant letters, photographers, jeweller, make-up artist, florist, stationery, designer bridal wear, menswear, DJ, bunting, venue dressing experts, wedding planner, Registrars & more! Elite Wedding Show at the Sage Gateshead - This Is The Big One! THE NORTH'S ONLY INTERACTIVE WEDDING SHOW! FREE ADMISSION to 3 floors of BRIDAL BRILLIANCE.